There's a new collection online and it also reflects a new way of working for me. I've decided to concentrate entirely on small limited edition collections and bespoke. Sorry that our shelves are empty! We're currently creating new designs and they will be online very soon. Check out our Seasonal Sale! Isobel Wylie Hutchison has always been one of my inspirations. This amazing woman first started her expeditions in her early twenties by walking from Edinburgh to London, then from Innsbruck to Venice. Born in Carlowrie Castle in West Lothian in 1889 this was not a time when women were able to strike out on their own. 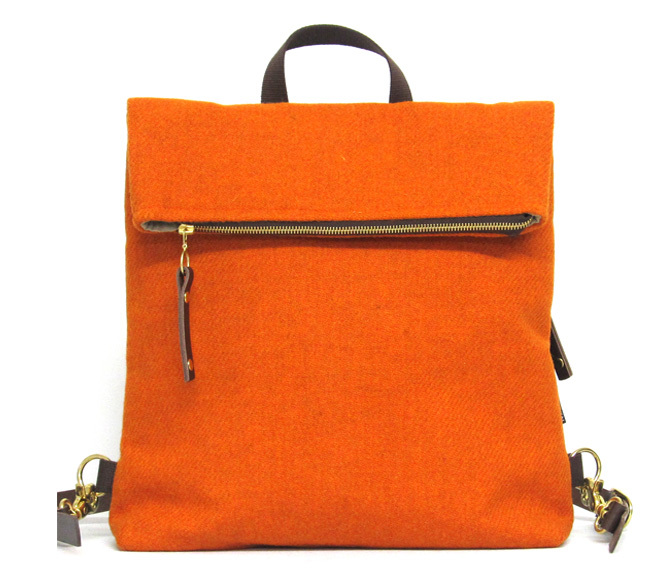 Exciting news - our Hepburn Backpack is now stocked in the wonderful new V&A Dundee. Our Summer Sale has just launched online and the studio is very hot and very busy at the moment as we get the new Autumn/Winter Collection ready. Besides our online shop, you can find our new designs at a few places if you're visiting Edinburgh this August so here's a little round up! Craft Scotland kindly commissioned us to create individual gifts for their reception at Edinburgh Castle, hosting the World Craft Council's visit to the city and to launch the Craft Scotland Conference that took place over the next two days. Campaign for Wool celebrates wool every year and this year the capstone event is Wool Fusion and it's wonderful that we were commissioned to create two bags to celebrate the event and our use of Harris Tweed. The details of the event, taking place this week in London, are below. A Rambler Rucksack and a Hobo Handbag in gorgeous montage shades. What do you think? Check out the new designs we have for you online and also the favourites in new colours and materials. This new season we've gone for vibrant reds, beautiful blues and rich burnt orange. We've also upped the level of Waxed Cotton, using a new Hybrid Aero from Halley Stevensons in Dundee, that's dry to the touch and just perfect for our climate - and more over, teams perfectly with our beloved Harris Tweed. Just the day after that launch we're having our 25th Biannual Open Weekend at Coburg Studios! Details here. I can't believe that I've had studio space all that time. I first got the space when I was still producing in the film and TV industry, so it all started as a part time venture that eventually turned into a new career - it's never too late so start something new it seems. My last production was in 2014 but just recently I've been musing on a special project that I may get involved in....never say never! Another event and another opportunity to browse and buy gorgeous handmade and vintage designs will be at the Selvedge Fair at the Dovecot Textile Museum and Gallery in Infirmary Street in Edinburgh - the date for the diary is Saturday the 19th August and there's more details here. Until then, it's pretty full on with orders for Glenfiddich Distillery, a new stockist in Germany (details soon), replenishing our retailers British Museum, Mull Pottery, Cranachan & Crowdie and Concrete Wardrobe, popping a little linen collection into SDX at Ocean Terminal, supplying new stockists Charisma in Dunblane and Winston & Potter in Swannage. In between of course doing bespoke pieces for lovely customers, dealing with online orders and helping set up the new Coburg Gallery Shop - and I need to find time to get out and about and enjoy the Edinburgh Festival! It's all go. I can't thank you enough for your support as wonderful customers and clients, for commenting and liking and giving me your thoughts on social media. It's so heartening to see how many people love beautiful handcrafted products and I hope you'll like the new designs for the new season that will be launched very soon - my customers are my inspiration after all! Watch this space! 18th June isn't far away and we've got some fabulous gift ideas as well as a lovely 10% discount across the collection. Use Promo Code FATHER at the checkout to get 10% off your purchase. Available until 17th June midnight. Have you seen our new Tetra Pouches? In Scottish Deerskin Leather, Suede or Harris Tweed - they're just the thing for storing charges, adapters, makeup, cash and cards - and in such style. Check out the selection online here. And we're in! Very happy indeed to be among such illustrious names and talents. Thank you to The Herald for including us. It’s a common complaint from Santa’s Little Helpers that the men in their life are tirelessly difficult to buy presents for. With our dedicated selection of gent’s products, we’ve got an accessory for everyone this Christmas, all Handmade in Scotland. Read on for our handy guide to Christmas shopping from across the Catherine Aitken collection. A truly versatile gift, there are four choices on how to wear your Wanderlust: Backpack, Cross-body Messenger, Shoulder Bag or Briefcase! We love this Harris Tweed and Wax Cotton classic in Montage edition; timeless green herringbone, with a surprising splash of vibrant orange. features including a detachable strap and inner pockets. and it's lined in strong black drill cotton. Fabulous loop scarf for the colder months with warm fleece linings. The kind of scarf that looks stylish on anyone! One long circular loop - pop it round your neck, cross over once and pop the second loop over your head and hey presto - great style. waterproof waxed cotton made in Dundee. Super sturdy rucksack perfect for the keen student. This wax cotton bag in beautiful chocolate brown has a strong zip closure across the top, top handle for easy carrying by hand, adjustable black heavy cotton webbing straps, secure zip pocket on the reverse, double slot pocket inside. The perfect size to keep laptops, tablets and paperwork safe, this sturdy folio case in Classic Grey Herringbone Harris Tweed features a lightly padded interior, secure inner pocket, strong zip closure with black leather puller and antique brass fittings. Ever stuck on what bag is most suitable for a certain occasion? Don’t worry, we've got you covered! Here we show you what each of our bags are perfect for.. Whether its a casual walk in the park or a weekend city break to Paris, our Voyager Messenger/Clutch is perfect to carry all those tourist essentials. Our Pansy Cosmetic Bag is the ideal accessory for a vacation abroad or just a weekend away, to carry everything you need when staying away from home. Big enough to store make up, make up brushes and a toothbrush. Our Kimono bags can take you from day to night, shoulder bag to clutch. Small, but big enough to carry everything you need to have the perfect night - money, phone and make up! 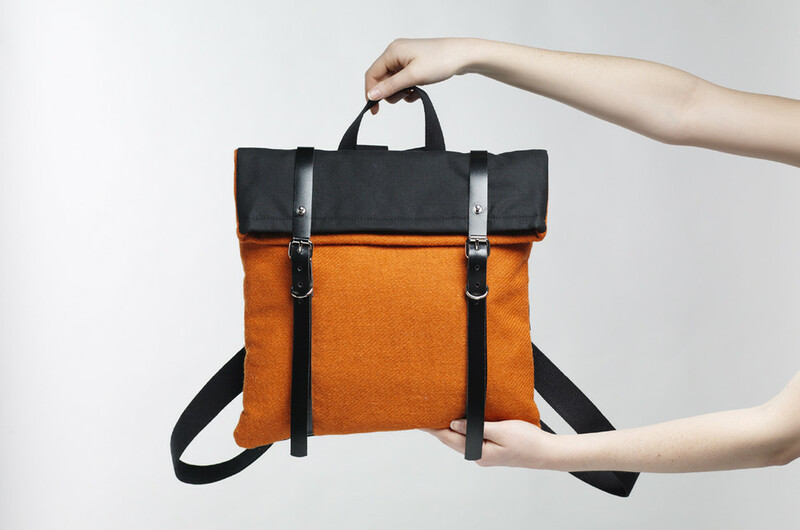 For the commuter, the student or the wanderer. Our Hepburn Backpack is stylish, spacious and sturdy, allowing you to carry everything you need, whilst looking great at the same time. Stay stylish, yet practical with our Explorer Bag. Handmade using Harris Tweed and waterproof linings, this bag will be sure to protect your laptop, books and notepad, whether you’re commuting to work or uni. The Rheged Exhibition that opened last week in Penrith, Cumbria, is a stunning exhibition that has been created by popular photographer Ian Lawson and The Harris Tweed Authority. Taking its inspiration from Ian Lawson’s personal narrative, ‘Harris Tweed: From The Land’, which explores the Scottish Outer Hebrides, the remote and romantic home of the world-famous Harris Tweed cloth. In this stunning exploration of people and place, these most special of islands are brought to light through this exhibition of wonderful images, film and physical objects connected to the Harris Tweed industry. So to have a few of our products showcased at this exhibition, we are absolutely honoured! 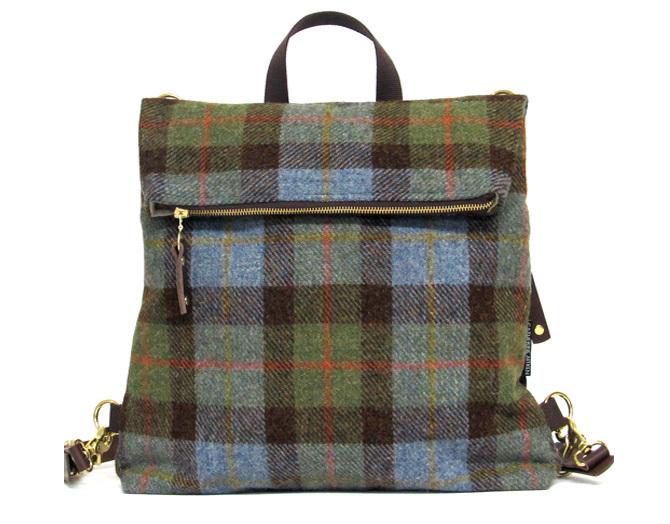 Featuring along side many other designers of beautifully made Harris Tweed products, our selection of bags fit right in. The selection of colours are wonderful, and you can really see the connection of Ian Lawson’s beautiful photography with the colours used for the Tweed, that is also available to buy at the exhibition! The Exhibition is on until Sunday 15 May 2016, which gives you plenty of time to go down to the Rheged Centre and check out this wonderful exhibition. And to make matters even better, its completely free to enter! ...in a double page spread also featuring the new Voyager Hip. With Spring and Summer slowly but surely creeping round the corner, we've introduced new season designs that will brighten up even the dullest of days. 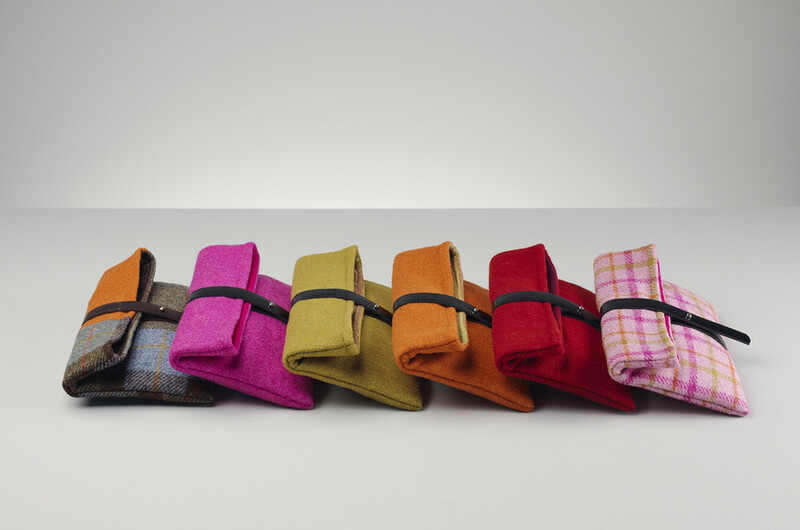 Our Wristlet Clutch makes the perfect grab bag for those on the go, available in an array of colour pop brights and traditional tweeds. The Voyager Clutch/Messenger also gets a new season update - the Voyager Hip - which can be worn round the waist with an adjustable belt - the perfect accessory for summer festivals! Edinburgh based fashion photographer, Alistair Clark, has captured our pieces beautifully and reveals how well they stand out and their versatility. Our new collection has also been featured in a double page spread for The National and really showcases what our brand is about - producing a “wow” factor for our customers! SÝN Magazine is an independent online magazine that features innovative fashion photography. The very talented, Glasgow based photographer Nuala Swan and stylist Molly Jane Sheridan (who is also the talent behind Hair & Make Up), have come together to create a spectacular photoshoot spread for SÝN which doesn't only look great, but also features two pieces from our womenswear collection! The Hepburn Backpack in bright blue takes the spotlight when paired with the contrasting colour of bright yellow to give this Harris Tweed backpack a real modern twist that stands out from the crowd. With model Paighton wearing KellyDawn Riot trousers and NEVER MONDAY metallic cropped jumper, it really does give this look a more creative edge. The fact that these are both innovative Scottish fashion designers, this really links in with the whole Scottish heritage that we value as a company! The photoshoot was taken in Edinburgh at The Biscuit Factory, an arts and fashion warehouse adorned with history. Blending historic scenery with high-fashion, modern apparel gives this shoot individuality and allows for our bags to really fit in with the whole style of this shoot. Our Explorer Messenger Bag in Brilliant Orange looks totally at home when paired with the unexpected colours of dark and bright pink. The clashing textures of the faux fur pom-poms, the knitted dress and our Harris Tweed messenger gives our traditional fabric a modern update. Both pieces are available to buy on our website! 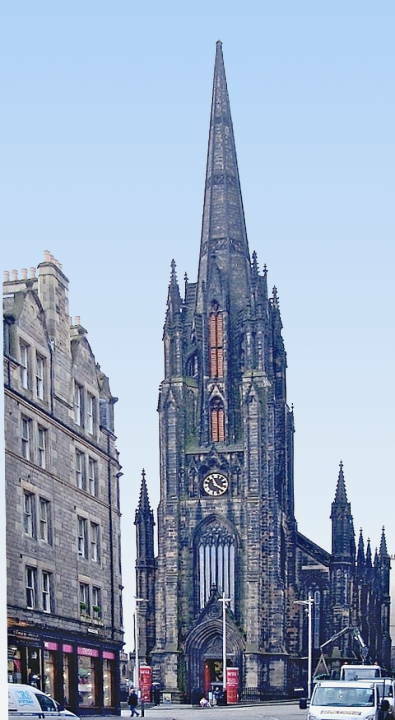 The Silent Auction for Syria has officially launched and will be held at one of Edinburgh’s most iconic buildings ‘The Hub’ at the top of the Royal Mile - I'm so pleased to be part of the auxtion by donating a one off piece created especially for the night. The first 100 tickets are now on sale so grab them while you can! GET YOUR TICKETS HERE! 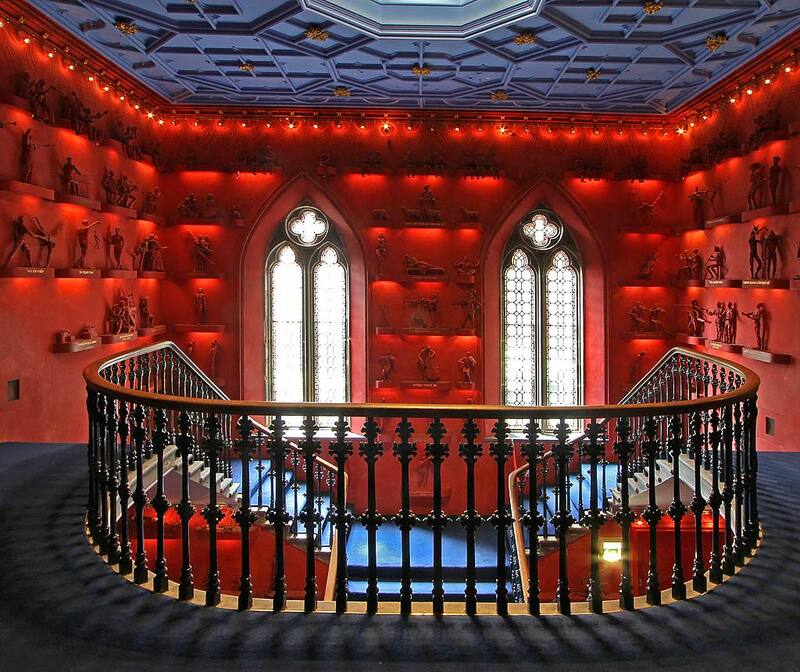 Drinks and canapes shall be served and for those who can't manage the stairs there is a lift with disabled access so all can enjoy this wonderful event. See our venue and list of fabulous talent below, each who have gifted a piece of their unique work. “Never wear vest tops. That’s what I learnt. I had a habit of clapping with my hands above my head and they showed me doing it in slow motion. I had thought my arms were not too bad for an old bird until they ran that. So, no more vest tops. As well as paying more attention to her wardrobe, Murray has been focusing on design since she began working with Harris Tweed Hebrides and Scottish-based designers Catherine Aitken, Gráinne Broderick and Katherine Emtage on a tennis-inspired range of bespoke Harris Tweed fashion accessories and homeware, made exclusively for Cromlix, the hotel outside Dunblane owned by Andy and his wife Kim. 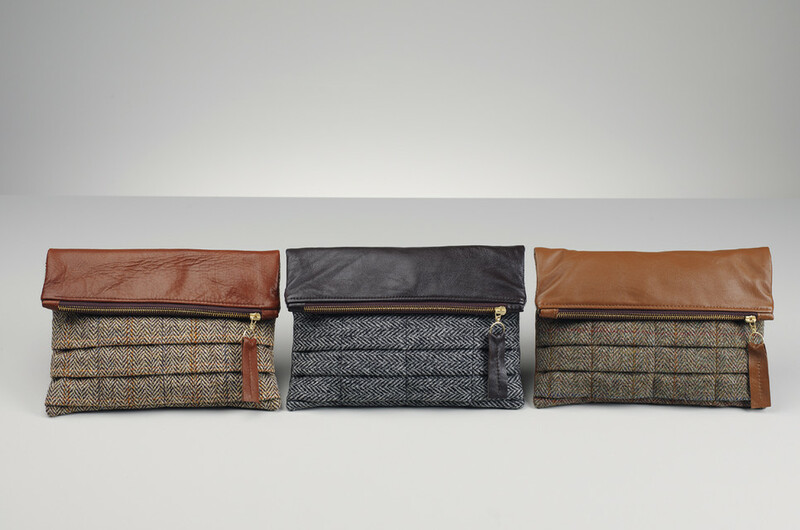 Launched last year, the Cromlix Collection of accessories includes handbags, washbags, messenger bags, cushions and cuff links, all made with Harris Tweed in a design specially commissioned for the hotel. “We wanted something special for the hotel and picked those colours, purple and green, because they’re the Wimbledon colours and also the colours around Cromlix, the purple heather. My preference in tartans and tweed is for the more traditional colours. With the Cromlix Collection, which was launched last year, proving popular, Judy and her team have extended the range with several new items. With all items made in Scotland, the collection also includes the specially commissioned bergamot and ginger toiletries created by Arran Aromatics for Cromlix. For Murray, working on the Cromlix Collection has been a complete change of scene from her usual tennis coaching duties. Currently captain of the British Fed Cup team, she also campaigns to get more girls and women into sport. “I’ve enjoyed getting involved in this. It’s been fun. I’ve really liked working with the designers to come up with something different. Also it’s been something completely new for me, with nothing to do with sport or tennis, so it’s been a really nice switch-off,” she says. “I was never interested in clothes or accessories when I was younger. I had my ears pierced when I was 15 because the bus conductor kept calling me ‘son’. Then I was always on the road with the boys and other people’s children, so I just wore jeans or a tracksuit. I’ve always thought the most important thing is to be comfortable, so I’m usually in jeans, scabby sweatshirts and flip-flops. I just put my head down and go for comfort,” she says. With the spotlight on Judy, whether it’s watching her sons play tennis or appearing at awards ceremonies – or the sparkly world of Strictly Come Dancing last year – even the smartest tracky bottoms and hoodie weren’t going to cut it. Strictly moved her wardrobe into a whole new world of glitz with a different outfit for each dance. “I loved all of them. I couldn’t believe how much I loved all of them. Because everybody is dressed up and everything is sparkly you don’t feel self-conscious, it’s part of the show and it becomes second nature. When we spoke on the eve of Wimbledon, Andy had just won his fourth Queen’s Club title and was in impressive form and Jamie is riding high with doubles partner Australian John Peters. How did she rate their chances at Wimbledon this year? “It’s impossible to tell what’s going to happen. They’re both contenders for their events and aiming to win but that’s a very difficult thing to do. Seven matches in five days, each five sets, it’s physically very demanding, plus there’s the added spotlight of it being a home Grand Slam. “But being on grass presents an opportunity, because not so many of the foreign players are comfortable on it. It also produces disadvantages too, in that tall guys with a big serve can come up with an unexpected win on the day, like Lukas Rosol beating Nadal. “But winning Queen’s has given Andy a lot of confidence and both boys are comfortable on grass. They love Wimbledon. They do well there,” she says. If they haven’t made it as far as the Wimbledon silverware this year, the Murray boys can always console themselves with a pair of Cromlix Collection cuff links. “They have no interest in clothes whatsoever, but yes, they wear cuff links if they’re going to something special,” Murray says. The Cromlix Collection, prices start from £25, is available online and Cromlix, www.cromlix.com. 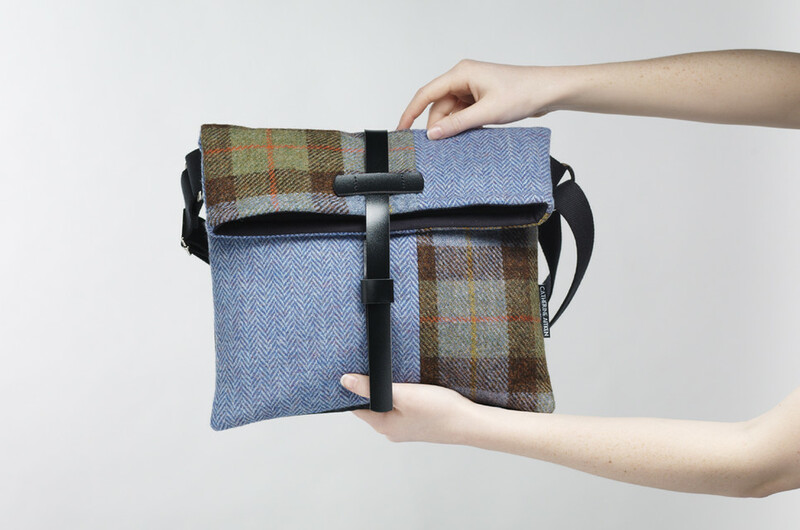 Catherine Aitken's studio is in Leith, Edinburgh, where she creates bags, scarves and other accessories for both men and women from Harris tweed and other high quality materials. Catherine sent some of her products for me to have a look at. All are beautifully-made. I love bags made from tweed. As a material, it's strong, comfortable and the colours go with anything. The duffel bag is robust, comfortable to use and well-designed. The Kate Clutch, The Munro Bag and the Hayworth Handbag and I think they look stunning in this fabulous new cloth that Judy personally designed - a beautiful green and purple fading check that is reminiscent of the Scottish landscape as well as Wimbledon! Created by Harris Tweed Hebrides we have also provided ladies and gents toiletry bags and iPhone and iPad covers. This exclusive collection is available from the Cromlix Hotel not far from Dunblane and it just oozes old style glamour and luxury. We add the O Rings and the back pocket to the waxed cotton reverse and then mustn't forget the labels - our own and the Harris Tweed verification label. Almost there - we just need to add the strap. This is riveted on to the O rings - watch your fingers with that heavy hammer! We add a little noile of lavender to the inside, and now the bag is ready to leave the studio, to be loved and cared for by the new owner, wherever in the world they may be. The Hepburn range is named after the wonderful Hollywood actress Katharine Hepburn - her masculine/feminine style is a real inspiration, not to mention her love of tweed. "What's in my bag" posts are some of my favourites to read from bloggers. It might be a little nosey, but I love it. I like seeing what they would carry around in real life: what lipstick they use, what purse they have or whether they carry around a sweet treat like I do. I'm such a believer in shopping small, local and independent. I love British made beauties and of course, Scottish designers. Catherine Aitken is a wonderful Edinburgh designer whose designs I have fallen head over heels with. She uses Harris Tweed fabric in such a subtle, divine way that I find so simple and appealing! Sometimes tartan or tweed pieces seem a little cliché for me, but Catherine's eye for design and flawless craftmanship is beautiful and so unique. My bag is the Kate Clutch in a beautiful olive green/mustardy colour. I was always looking for a clutch bag that wasn't too fancy - I tend to use my camera bag satchel everyday, so I'm not one for uber fancy bags - and one that was big enough to hold all my necessities! A little bar of chocolate. I pretty much always want a bit of dark chocolate after every meal or coffee.. so bringing my own stash is so helpful! A notebook and pen. When inspiration strikes, you always need a notebook. Business cards. For impromtu networking. Purse. My mum and dad got me this 'Long Live Vintage' beauty from Ireland a few years ago. Lipstick and Balm. I love red and pink lipstick, I think it jazzes up every outfit and gives my face some colour. (I'm very pale!). I like to use lip balm first as a base too. Who’d have thought that the laws of physics apply even to fashion? For every action there is an equal and opposing reaction. The backlash against mass produced clothing and accessories is undisputedly the resurgence of the heritage brand. A growing number of discerning shoppers are looking for a product unique to them; something with a story that will accompany them for years to come and build up a treasury of memories along the way. Something that they really own and becomes theirs, not everybody else’s too. Cue Catherine Aitken. 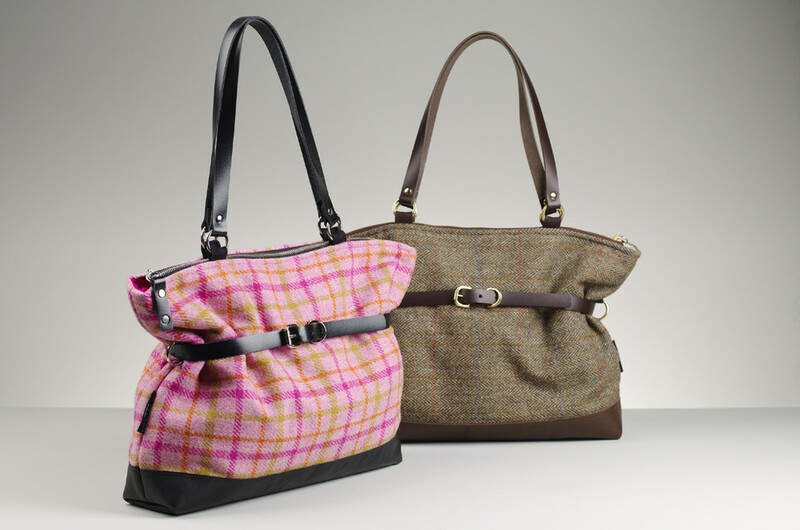 Practical and functional, Catherine’s handbags and manbags are full of personality thanks to her use of Harris Tweed. Hand woven herringbones, overchecks, tartans and jolly mottled twill provide generous inspiration for a tactile collection. 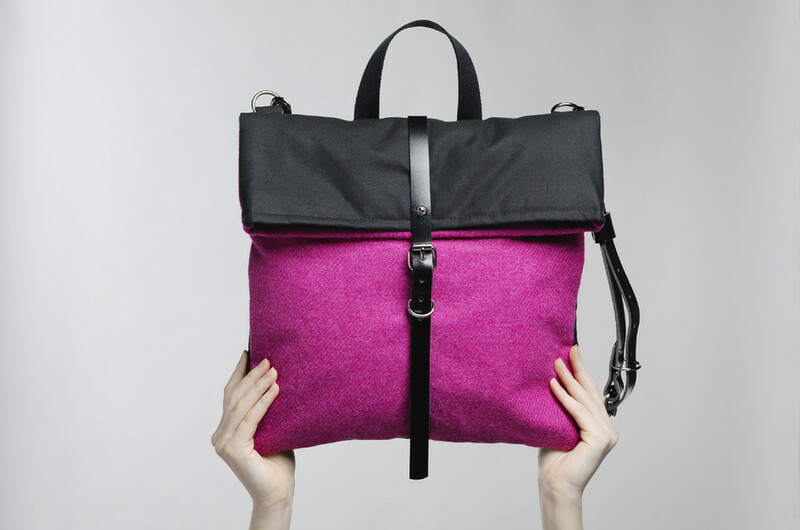 Whether to keep your treasures safe in a Hepburn backpack as you stroll around a county show or tell the board you mean business by pulling your pristine files out of a shocking pink no nonsense Messenger, the personal touch is ubiquitous. The Munro and the Shackleton manbags have an oldle worlde look but are compatible with hi tech hi spec needs of the man about town and country. 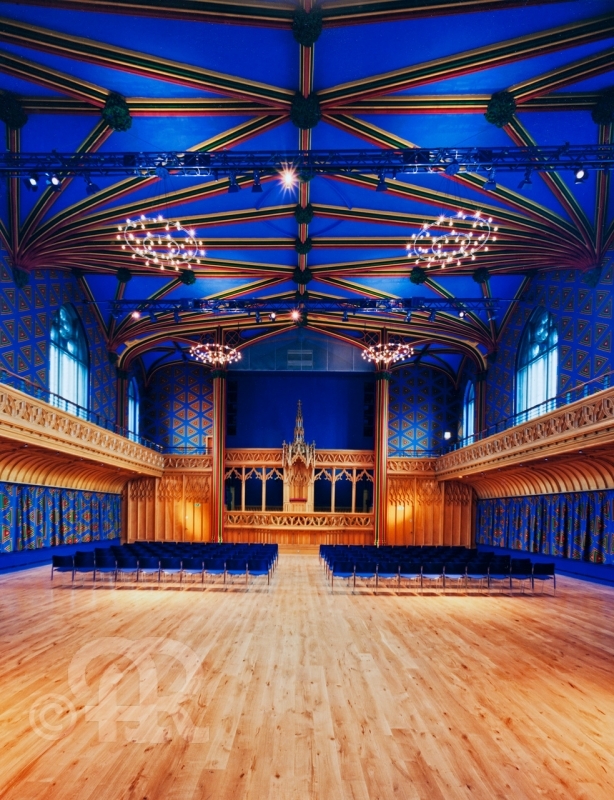 From concept to final piece, craftsmanship plays a big part in the brand’s Edinburgh studio. From the shearing of the sheep to the waxing of the cotton to the construction of the actual item, everything happens on Scottish soil. The integrity of the process results in a collection not just rich in texture but also individuality. The fittings and finishes are not a necessary afterthought but rather an intrinsic part of the product. Waterproof linings and custom shapes will keep smartphones and tablets safe from harm and rain. Quality triumphs throughout and the absence of brash branding is a breath of fresh air when aggressive marketing is the order of the day. If you are looking for bags of heritage, Catherine Aitken is your designer and if you long for something totally unique then check out the Renaissance line which re-and-up-cycles Harris Tweed jackets. Catherine Aitken loved Harris Tweed – hardly an unusual trait in a Scottish person – but had a hard time getting her hands on the fabric. That's why she turned to used jackets when she decided to make robust men's bags with a bit of Highland flavor. She could pick them apart and transform a tired coat into an eye-catching satchel. Now she sells her work out of her studio in Leith, the small, hip neighborhood that thrives along Edinburgh's port on the Firth of Forth, and in the British Museum. "This comes from my love of mooching round thrift and charity shops," says Aitken, who worked as a film producer before giving it up to start her business. "People also bring them to me and some customers bring their own to be created into a bag especially for them." The only appropriate reaction to Aitken's upcycled creations, which she refers to as her "Renaissance Line," is to wonder how precisely she makes them. It's complicated, but she's figured out a system. It goes like this. 1. "The original Harris Tweed Label is taken out." 2. "The lining, padding, and interfacings are all removed using a picking tool, scalpel, and scissors." 3. "Once just the cloth is left, it's into the washing machine at a low temperature – this also binds the yarn into a closer tighter weave, closer to its original texture when the jacket was new." 4. "The pieces are then dried, ironed, cut to size, interfaced, and then we go over them looking for areas that may need to be patched with our Scottish deerskin leather." Aitken says most of her work targets the "suited and booted who want to have a bit of individuality in their everyday wardrobe." That works out just fine because tweed jackets are not uniformly made. The pockets are different, the shooting patches are different, and the men who've worn them down are all different. The only constant element, really, is Aitken herself. The new Maggie Clutch is now online. Beautiful leathers - Scottish Deerskin and Nappa Leathers - teamed with pleated Harris Tweeds and silk linings. A textural delight as well as being a practical everyday size. Zipper closure and magnetic stud to keep the fold in position, the classic style looks great teamed with jeans or a little black dress. Versatile perfection. The original Munro bag is now back in stock. 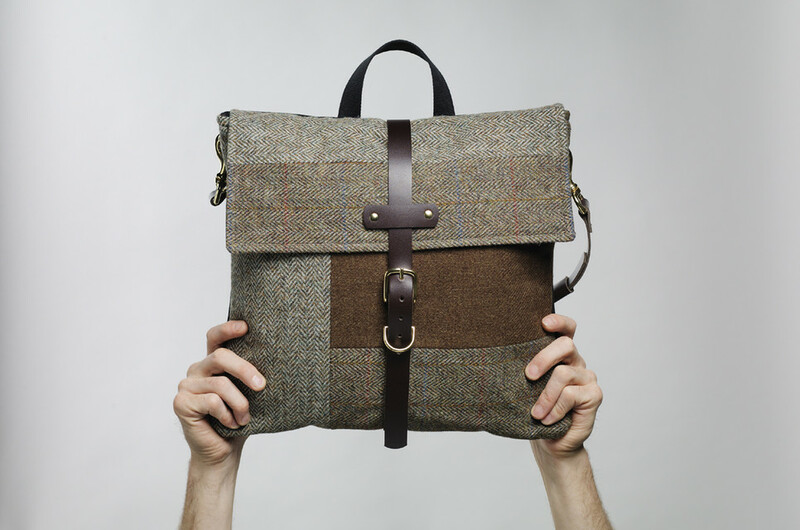 It's one of the first designs created, and was also one of the first manbags in Harris Tweed. A simple design, but really stylish, standing out with the strap being attached with kilt pins - an amazingly strong attachment. Great for all weathers, this is a wonderful away day bag, but it's also large enough and strong enough to carry a small laptop, netbook or ipad - amongst other things of course. Currently available in the gorgeous green herringbone overcheck, more colours will be added from time to time. We hope you all had a wonderful time over the festivities and are now fighting fit for 2014. For us - it's back to the studio, creating some new designs, consolidating our production base in Scotland and buying new materials. It's going to be an exciting year ahead - watch this space! We're having a sale - we've reduced our remaining stock as we get ready to create new designs in the new year. Thanks for all your custom and support during 2013 and we hope you have a lovely time over new year and all best wishes for a wonderful 2014. Last year I produced Mark Cousins' documentary - What is this film called Love? And this dress - a cross between punk and pop art. She is such a talent. Weather is right glum today - does mean we get to crack out the rain boots though. Fantasy wardrobe: I'd wear our Patti bag with a leather top from TIBI, Wanda Nylon jain coat, Alice + Olivia skirt, Opening Ceremony Boots, Tomasz Donicik bracelet finished with a flash of neon from this Tom Binns necklace. How you dressing for the weather? Fast forward – oh far too many years to mention – and Punk is still around, in fact it seems to be having a resurgence currently, mostly thanks to the New York Met Museum’s exhibition – Punk: Chaos to Couture. But Punk’s longevity is best captured in the quote from David Byrne: “Punk was defined by an attitude rather than a musical style”; and that attitude has stayed with us. It’s the attitude of the women of the time that I found and still find so inspiring. Patti Smith, Siouxie Sioux, Debbie Harry, Joan Jett and Poly Styrene all served as key inspiration for my new collection of handbags “Riot.” With bags named after these eponymous women of rock I’ve used leather, tartan, tweed and hardwear to create a collection inspired by some of the most stylist and influential women of rock. As well as the last of our gorgeous vintage kimono clutches, ready for the new Shunga exhibition taking place in October. ... has gone off to the lovely Vintage Hound shop in Winchester along with the Freya Messenger, belts and bow clutches. Lots of the gents toiletry bags have been sent to France, Germany, Norway, the US and now we're working on a very large order for a wonderful magazine who want to give them as gifts to all their advertising clients! Some new designs still to come - a new handbag, a new manbag, some more of the ever popular Hepburn range and a few more scarves.... coming soon. …best to be nicely accessorised. A bit like Mia Farrow in Rosemary’s Baby. Dashing down the corridor after tipping the contents of her handbag out to stall for time. Costume designer Anthea Sylbert (who also worked with Polanski on Chinatown) gets the period spot on with the little baby doll dresses and sets the tone for Rosemary’s character with her predominant use of white.